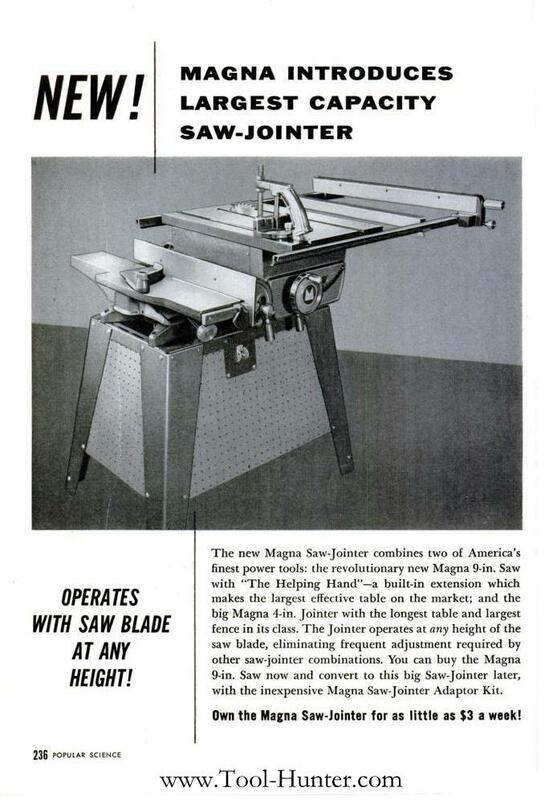 This ad shows the Magna-Line 9" tilting arbor table saw mounted on the Double SPT Stand along with the 4" Jointer. 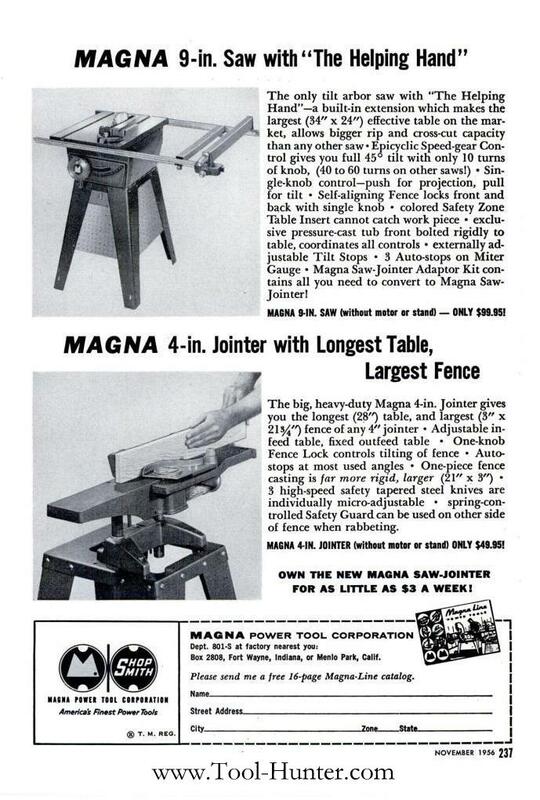 The second page of the ad shows each of these tools mounted individually on its own SPT Stand. This is the same base that Shopsmith uses today for the Pro Planer and for stand-alone mounting of the individual Single Purpose Tools.